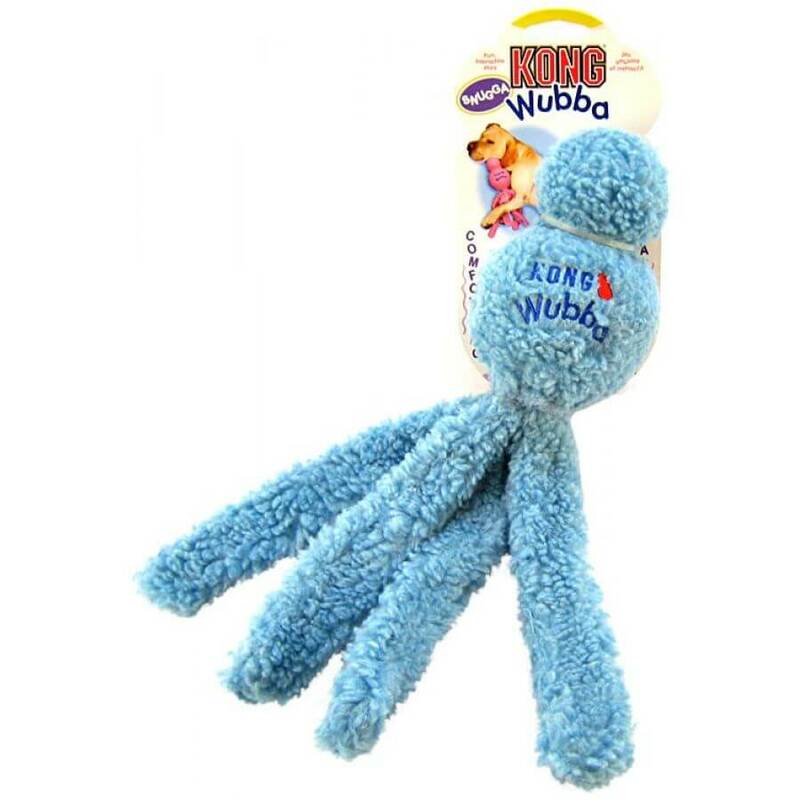 The KONG Snugga Wubba is an interactive toss and comfort toy. There are no squeakers inside for quiet, gentle indoor play. Soft, thick fleece fabric cover is comforting to snuggle with and is great for indoor or outdoor play.